I take it back: Gruss an Aachen is fragrant, after all! I don’t know what it is about this weather, if I can blame the temperature or perhaps humidity, but suddenly roses that have had no scent to my nose are perfume powerhouses. Take Gruss an Aachen. I’ve read more than once that it has a strong scent, but I’ve only occasionally been able to pick up a faint fragrance early in the morning. Until Sunday, and the last two days it’s been strongly, wonderfully scented, and blooming its gorgeous heart out. I can’t believe what a transformation this rose has undergone since I moved it from the backyard. I can’t believe that I almost yanked it out to put it out of its pathetic, twiggy, blackspotted misery! 7 Responses to I take it back: Gruss an Aachen is fragrant, after all! It is gorgeous. Is it a small rose bush because I am looking for another one? Have you given it more sun and that’s why it is happier? It certainly looks healthy with no blackspot. I do think the dry weather this year has helped. Have you noticed that roses are fragrant in the morning but by late in the day the frgrance is gone. 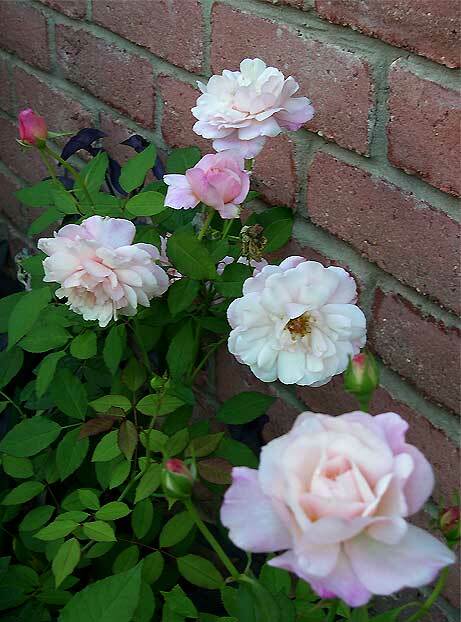 That has been my experience with Zephirine d.
Lancashire rose – A question for you: I have Zephirine Drouhin, and so far I’ve gotten two flowers from her for the two years I’ve had her. I suspect not watering enough and maybe too much shade. However, I’ve heard from a few places that she’s really only a spring-blooming climber, with a few bonus flowers in the fall. Has that been your experience, too? Yes, you are right its main bloom time is in the spring. I have been thinking about pulling mine out because it has not done well this last few years. I think I need to find some horse manure. It is supposed to be a rose that tolerates some shade. It is very fragrant though. That’s interesting. I didn’t know that the weather would affect their scent. My new Maggie roses are blooming nicely in the back bed, but while they are still small, it’s hard for me to reach them to stick my nose in them to sniff unless I crawl in the bed. Didn’t you say you couldn’t reach yours either? 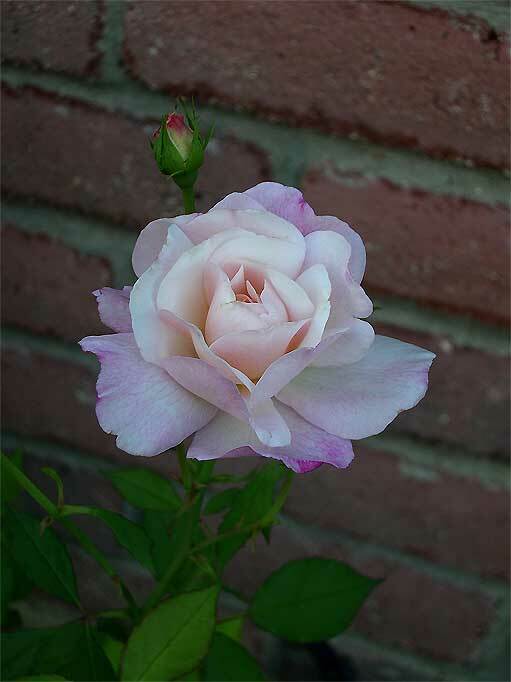 Lancashire rose – You know, I’m really doubting Zephrine Drouhin’s reputation as a shade bloomer. I’m pretty sure the reason mine is doing so poorly is that she has so little direct sun. How much sun is yours getting? I’ve been tempted to yank mine out, too, but it’s so hard to find a nice thornless, scented climber! Even one of my Mme Alfred Carrieres has nasty thorns, and they’re supposed to be thornless.